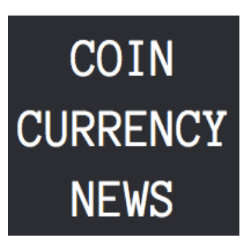 In an effort to diversify the ownership of the NEWS Token Pool, the members of the pool are moving away from the Coin Currency News brand and affiliated sites, and are being composed of the new NEWS Network Pool. As part of this development, the creation of a News Token Pool website is being constructed, where members of the News Token Pool can showcase their site and brand, without any specific news station, writer, or owner being a main pool leader. The only tie to the pool is denoted by the amount of shares owned by the members. In this case, people can buy the NEWS Tokens directly from Cfinex during this pre-phase, and then use these tokens to pay writers, exchange currency, and share content on the blockchain in the future. This is a giant step for the NEWS Token Pool, as well as its members, because it affords greater options for the community to be involved in the development and integration of the NEWS tokens across a greater number of bodies, networks, and grow deeper roots into the ecosystem of the blockchain. While this has been years in the making, it is still in its infancy compared to the growth that will come with the NEWS Token Pool. The idea comes on the heels of adding new members from the Bitcoin community, and a range of news stations, and affiliates. We invite everyone to join the NEWS Token Pool, and buy some tokens as we continue development on this innovative project.